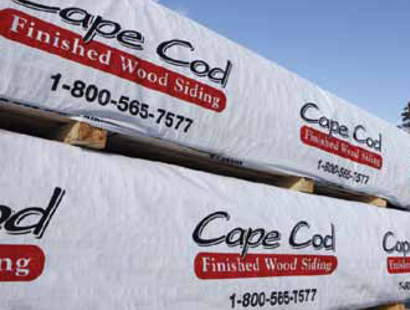 Vincent Timber - Products - Cape Cod Cladding. 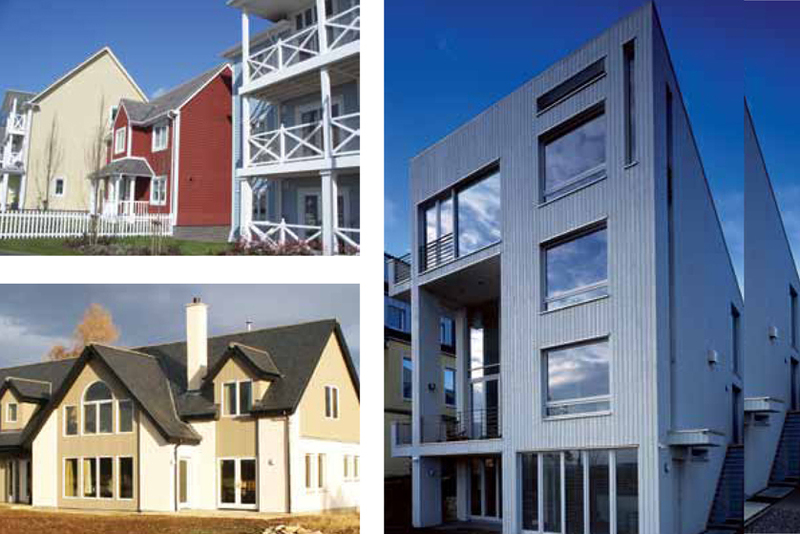 Cape Cod Wood Cladding based in Halifax, Nova Scotia is North America's premier manufacturer of pre-finished wood cladding trims and colour-matched accessories, all manufactured under one roof in a completely controlled environment. 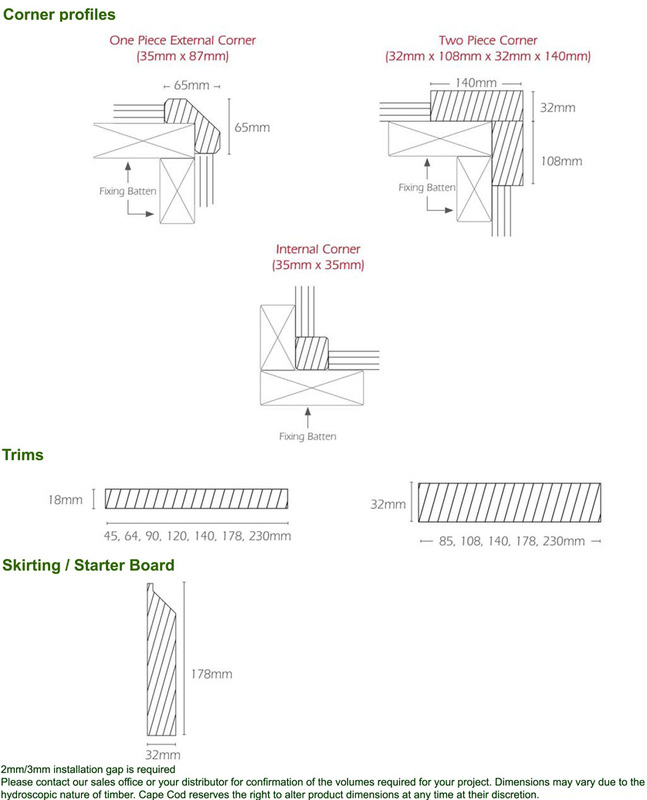 By manufacturing wood cladding from a raw piece of wood to a finished product, they can control the quality at each stage of production. It's your assurance of a 100% usable product and one that is pleasing to the eye and environmentally sound. Lodgepole Pine works well with hand or power tools and takes nails readily and holds them securely. Lodgepole Pine seasons easily with little shrinkage, and when dry, remains dimensionally stable. 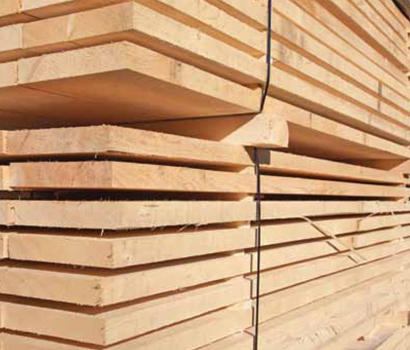 Special kiln drying reduces the moisture content of the wood before processing. 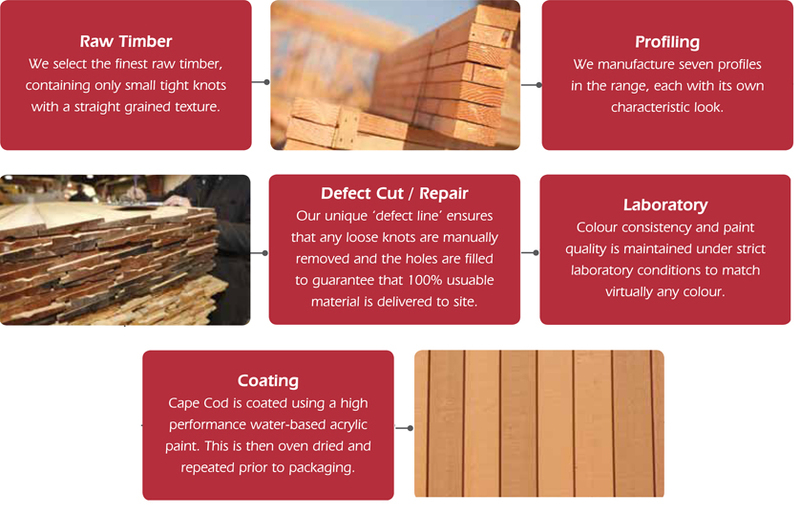 The wood's intergrown knots are generally small and sound and readily accept and retain the factory applied coating. 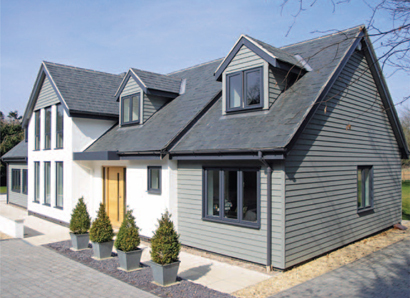 Our designers have selected a wide range of ten standard colours based on current trends and traditional favourites. But if you have something specific in mind, our colour laboratory is fitted with the best technology for capturing your inspiration and ensuring it can be reproduced correctly, every time. 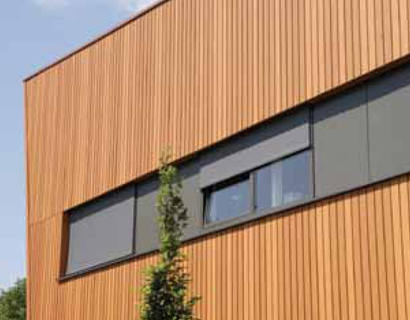 This colour match service will give you a colour sample, so you can see exactly how your cladding colour choice will look on your home. The colour lab saves your colour in an archive so your own colour is still available years later. 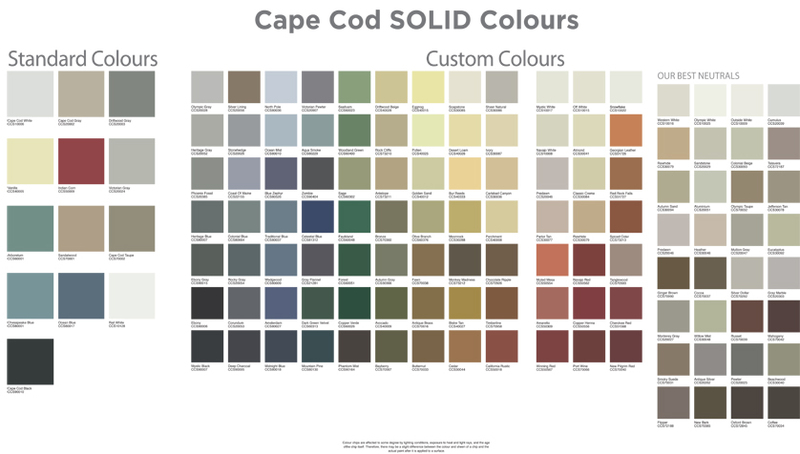 Click here to help you visualise how to use Cape Cod Cladding by seeing how the colours look on different types of properties.